Now in its third year, String Theories is conceived as an opportunity to provide composers and improvisers with a platform to create works on a much larger scale than typically possible. This edition, presented as a three-way collaboration between The String Orchestra of Brooklyn, ISSUE Project Room and Roulette, sees the World Premiere of four new works by young composers at the forefront of composition and improvisation: Eli Keszler’s casing, duct, stack, Zach Layton’s k…y…r…i…e…, Doron Sadja’sPillars of Light, and Catherine Lamb’s portions transparent/opaque: 1. Expand. Eli Keszler is a composer, artist and multi-instrumentalist based in New York City. In performance, he often plays drums, bowed crotales, and guitar in conjunction with his installations. In his ensemble compositions, he uses extended strings, motors, crotales, horns, and mechanical devices to create his sound, balancing intense harmonic formations with acoustic sustain, fast jarring rhythm, mechanical propulsion, dense textures, and detailed visual presentations. He has collaborated with Christian Wolff, Oren Ambarchi, Phill Niblock, Roscoe Mitchell, Tony Conrad, Joe McPhee, Loren Connors, Geoff Mullen, Jandek, and many others, and has recorded more than a dozen CDs and LPs for PAN, ESP-DISK and his own REL. Keszler’s “Breaker – NEUM”, was premiered by members of the Icelandic Symphony Orchestra at the Tektonics Festival in 2013. Doron Sadja is a Brooklyn and Malmö, Sweden-based multimedia artist whose work spans on immersive multi-channel sound pieces to sexually provocative performances, video installations, and stroboscopic smoke, mirror, laser, and projection shows. Doron has published music on Shinkoyo and 12k records, and has performed/exhibited at PS1 MoMa, Miami MOCA, D’amelio Terras Gallery, Cleveland Museum of Art, and Roulette amongst others. Sadja co-founded Shinkoyo Records and the West Nile performance space in Brooklyn (RIP), and has curated various new music/sound festivals around NYC. Sadja received his BMA from Oberlin and MFA from Bard College. Catherine Lamb is a composer/violist exploring sound through microscopic color variances, often with an ever-opening form. She is interested in the elemental/spectral interaction between tones and their shadows, between beings. She works with the phenomenological dimensions of quiet perceptual/sensual layers moving in and out of presence, as a being moving in space and time. She studied composition with Michael Pisaro and James Tenney at the California Institute of the Arts, Dhrupad music based on the Dagar lineage with Mani Kaul, and received her MFA from the Milton Avery School of Fine Arts at Bard College. She is currently based in Berlin. Zach Layton is a guitarist, composer, curator, teacher and media artist based in Brooklyn and Troy, NY. His work explores human and non-human sound production techniques, biofeedback, improvisation, indeterminacy and histories of the visual representation of sound and vibration. He has performed and exhibited at the Kitchen, ISSUE Project Room, Roulette, Diapason, PS1/MoMa, Experimental Intermedia, Performa, Exit Art, Transmediale Berlin, Audio Art Festival Krakow and many other spaces in New York and worldwide. Zach is also founder of the experimental music series, “Darmstadt: Classics of the Avant Garde” (co-curated with Nick Hallett), former co-curator of the PS1/MoMa WarmUp music series and former curator of Issue Project Room. He is currently completing an MFA at Bard College and a PhD at Rensselear Polytechnic Institute. THE STRING ORCHESTRA OF BROOKLYN is a close-knit group of musicians dedicated to exploring the breadth of the string repertoire, from the concerti of Bach to the latest experimental works by emerging composers. The orchestra also frequently invites its fellow wind, brass, and percussion colleagues to join them for concerts throughout the year. Praised by the Wall Street Journal as “[an] excellent orchestra” and by The New York Times for its “vivid intensity,” the String Orchestra of Brooklyn is passionately devoted to sharing its inclusive approach to music-making with the greater New York City area. 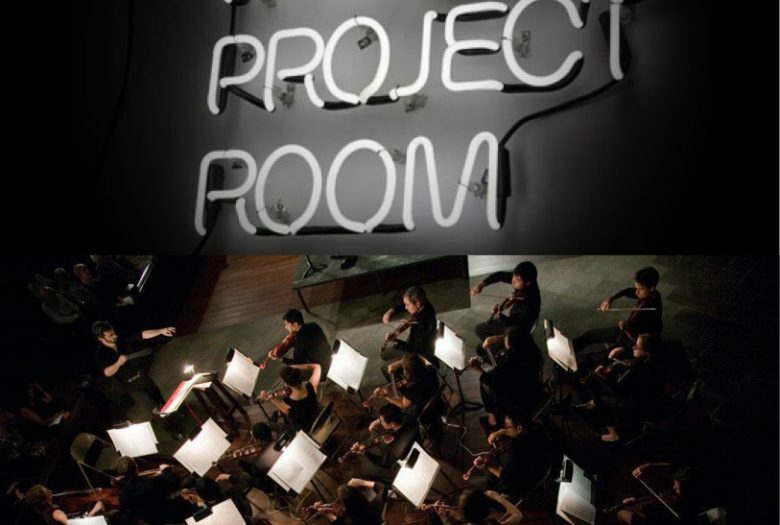 The orchestra also seeks out collaborative projects with other like-minded performance ensembles and organizations, including ISSUE Project Room, American Opera Projects, GHOSTLIGHT Chorus, and the Fort Greene Park Conservancy. Founded in 2007 by violinist and conductor Eli Spindel, the SOB has quickly become an integral part of Brooklyn’s vibrant musical community. Based at St. Ann and the Holy Trinity Church in Brooklyn Heights, the ensemble also presents an annual summer concert in Fort Greene Park, and holds regular chamber recitals around the borough.